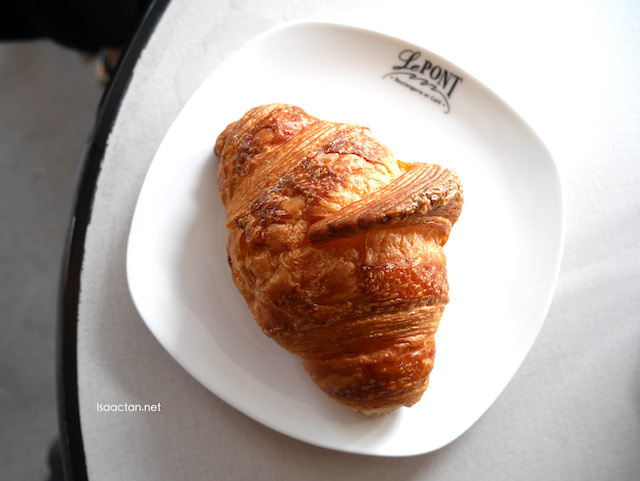 One of the very popular bakery cafe in town, Le Pont Boulangerie has always left a lasting impression on me ever since I tried them out last year. 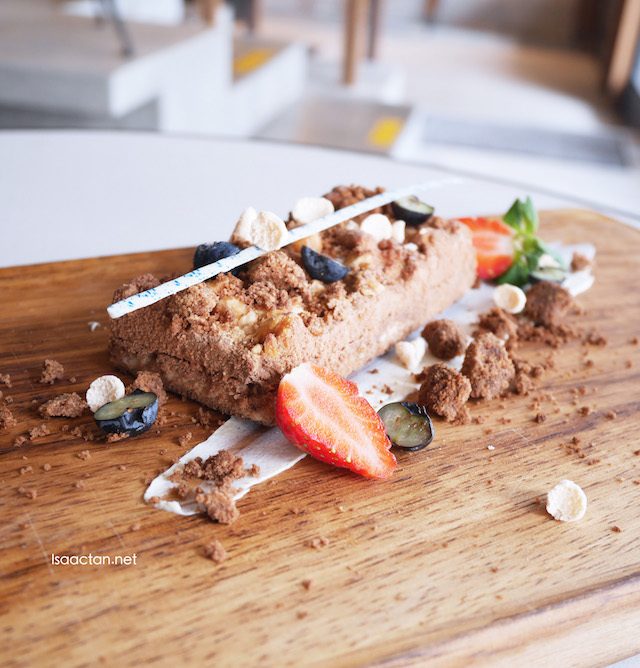 Starting from March through April, Le Pont has added a new chapter to their yummylicious coffee and desserts menu, one which I delightfully savoured a couple of weeks back. It was a presentation of love by Le Pont's passionate chefs, introduced in the new Coffee & Desserts Menu, aptly named "Sweet Sensations". 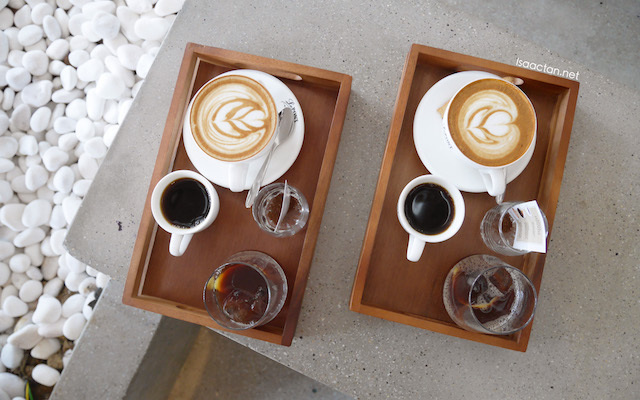 Featuring world famous coffee, its presented in a unique serving method, as well as six signature desserts bound to impress the sweet tooth in you. Step 1 – Savour in its pure natural state through filter brew. Step 2 – Enjoy a unique concoction expertly designed to enhance the character profile. Step 3 – Sip on an aromatic espresso brewed with textured milk. A highly sought-after bean sourced from exclusive farms of El Savador, the Himalaya Supersonic is regarded by coffee aficionados as one of the best of its kind, with lemonade, red currents and creamy body on roaster’s taste note. 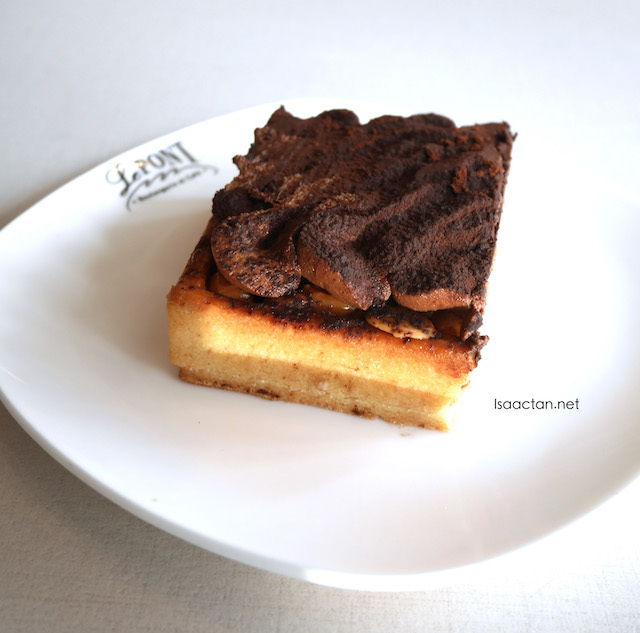 Coming off more resembling a cake than a tart, we were introduced to the really creamy and sweet Coffee Tart from Le Pont. You can choose to have one slice, or purchase the whole tart. This delectable shortcrust pastry is baked with coffee mixed from the Himalaya Supersonic single origin beans. The aroma when taken is really nice, with a slight bittersweet flavour, more sweet than bitter. 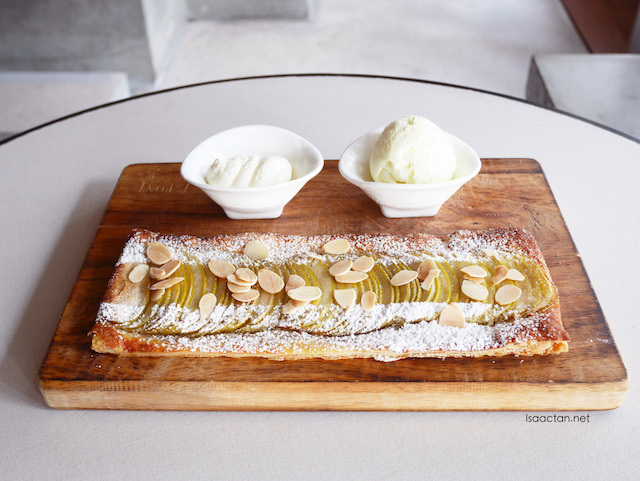 Those who have a liking for apple infused desserts would do well to try out Le Pont's Le Pomme, an apple tart served warm with creamy vanilla ice cream and light-textured cream at side, or the delicious Apple Crumble Tart, a classic apple tart filled with sweet sourish apple on a bed of frangipane that’s topped with almond crumble. Both can do no wrong. 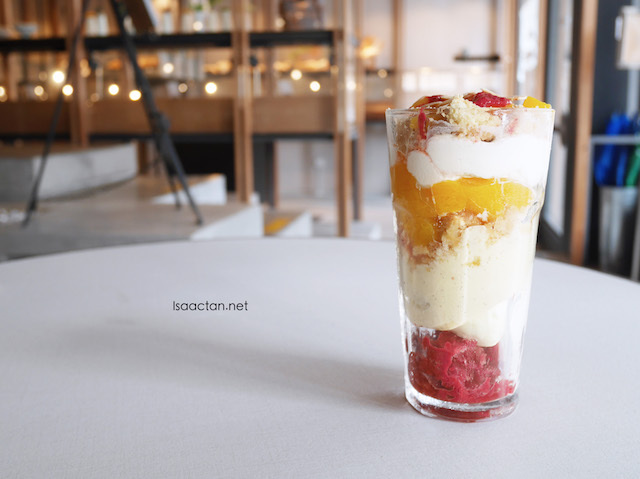 Made from poached peach with almond crumble and creme madame, layered in a glass looking real pretty, the Peach Melba was introduced to us next. Refreshing fruity indulgence, this sweet dessert with a slight sourish tinge is a treat indeed. One of my favourite new dessert has to be the Le Noisette. Made with crunchy hazelnut and chocolate bar, it looks too pretty to be eaten. I munched down on it anyway, savouring every part of the sweetness. Got to love the hazelnuts. plated like a piece of pretty artwork with mascarpone cream to enhance the enjoyment. Another nutty dessert indulgence, the Caramel and Mixed Nuts Tart caters for folks like me who love lots of nuts on their cakes or dessert. 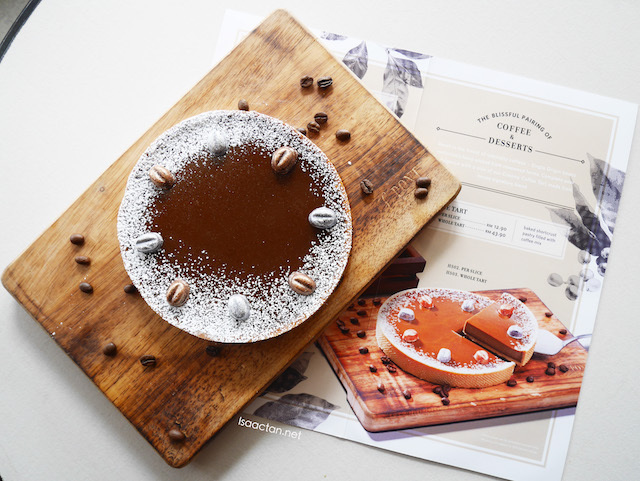 The baked shortcrust pastry is filled with mixed nuts (hazelnut, pistachio and almond), soft caramel, and topped with chocolate mousse and dark choco powder to balance up the sweetness. Yummy stuff. You've tried croissants, and I'm sure doughnuts too, but have you savoured the heavenly creation made from both? Aptly named Cronuts, Le Pont has a rather nice selection of Blueberry, almond, peanut butter and chocolate mousse cronuts which tasted awesome! 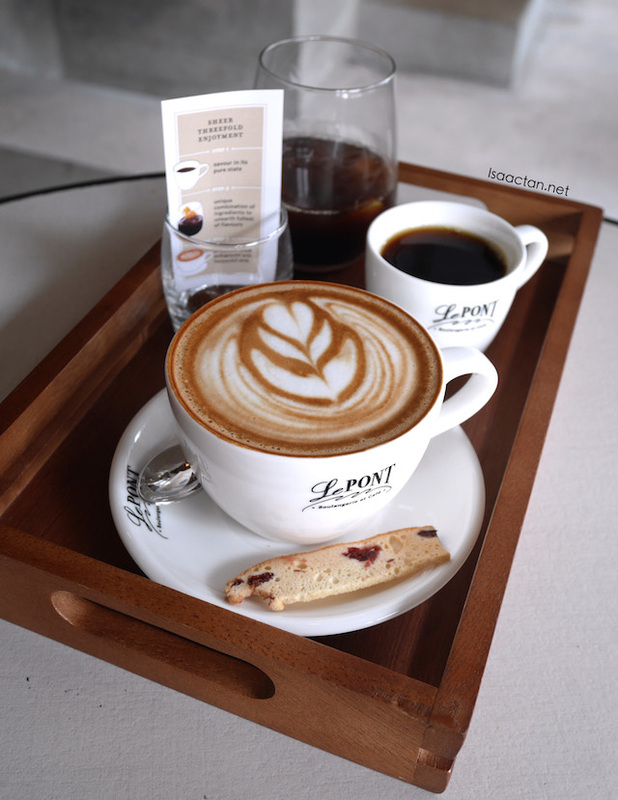 Now you know where to get your cravings fixed, just look for their Sweet Sensations Coffee & Desserts @ Le Pont Boulangerie when you're in the vicinity of Old Klang Road, KL. Slow down, step in and indulge in some moments of bliss! Lovely. Can I have the croissant, please? Wow! Feels like wanna hv a cup of coffee and those desserts d.. Looks yummy! 'Sweet Sensations' is definitely apt for their new menu. I wanna try that Peach Melba. The peach melba looks good! It really got me drooling! the croissants seem so delicious, I want try them! 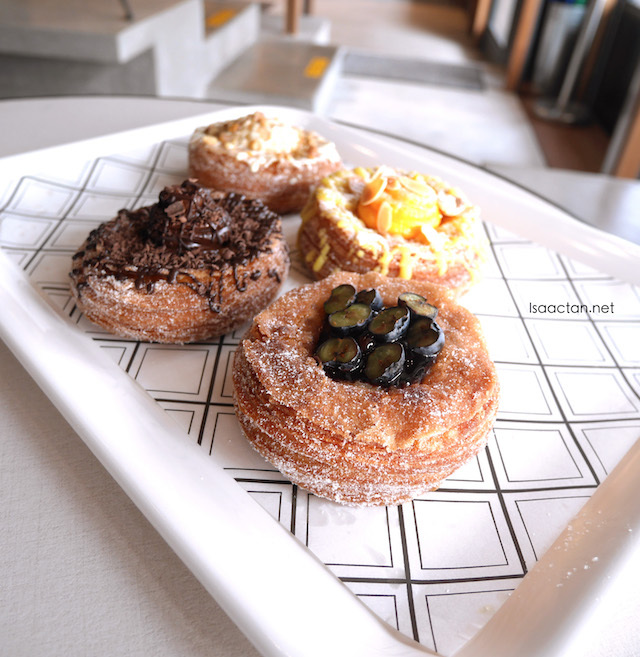 Yes, may I have the cronuts - all types - to go please! Talking about the best of both worlds! Whoa! am hungry. those cronuts are too good. I miss this cafe! The desserts looks like a best choice for all the girls who love desserts! Nice food photos make me feel hungry at this time lol. bro, all these pictures making me feel like giving up my diet leh! they look so nice!! would love to drop by and try out their coffee tarts. Amazing photos you have captured and loved them so much. Oh gosh! 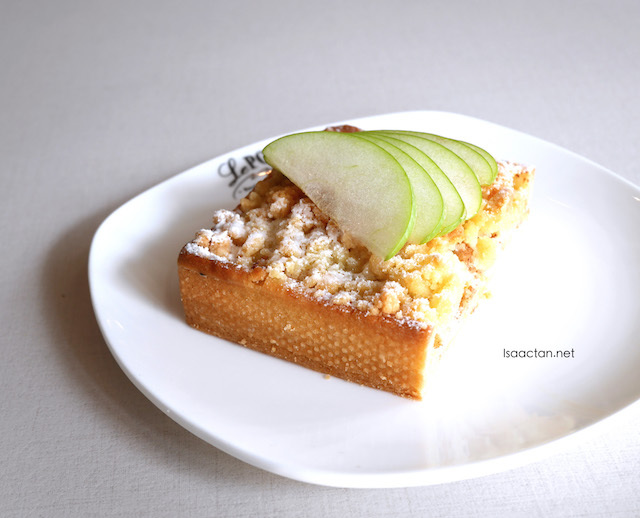 I'm so going to try the Le Noisette soon! I not a coffee person but i am dessert person. The dessert attract me and I want to go and try each of it. Yummy. The apple crumble and peach melba look so divine!